ValuAdder gives you this classical method to measure the value of business goodwill. Used by the US Treasury Department since the 1920’s, this is the established way to determine the value of business goodwill and total business value. 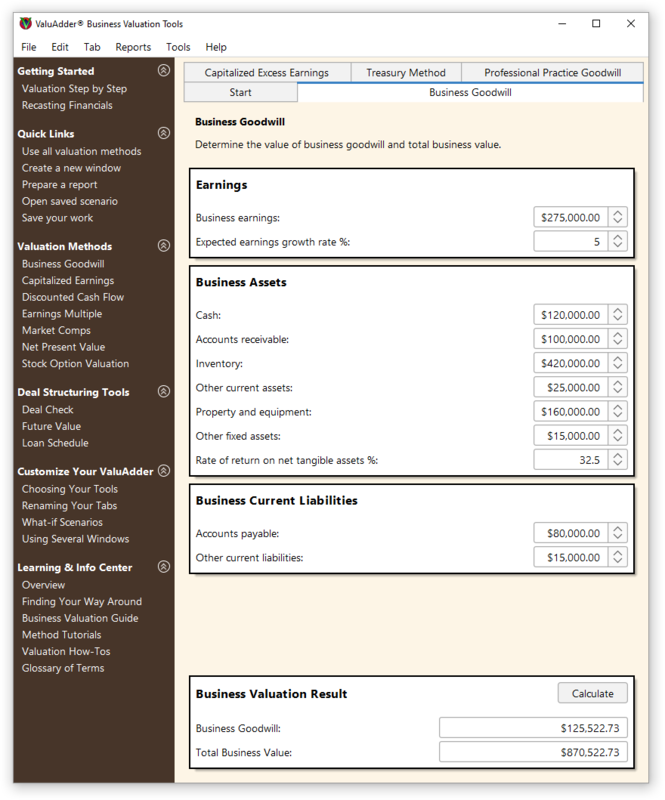 Use the Treasury Method for business purchase price allocation, in legal dispute cases, or to prove that the business is worth more than its tangible asset base. What is the Treasury Method?